On a blended DCF and EV basis I value at Sibanye at R11,75 but this is contingent on a cash neutral Lonmin situation, realisation of $120 million in merger synergies should the Lonmin deal go through, and future labour stability. 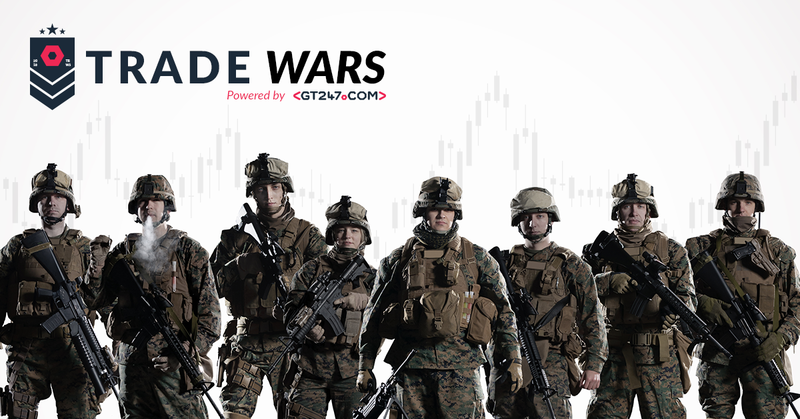 Traders and investors should treat SGL with caution and take rallies as a Sell signal. 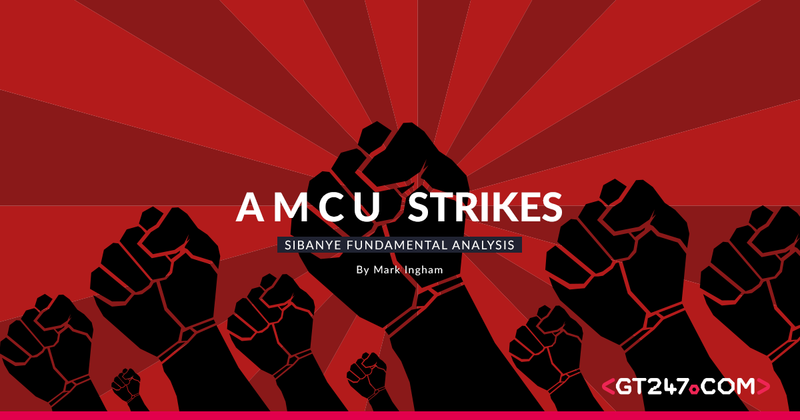 The fact that AMCU, which represents 43% of the employees in the Sibanye South Africa gold bargaining unit, is on strike is a further reason to be cautious. The bottom line is that this could be the catalyst to simply close shafts permanently, especially at Driefontein, and plug the cash haemorrhage, but ultimately shareholders are not going to benefit as the entire enterprise is shaky. An estimated 15,000 employees went on strike on 21 November, following the afternoon shift. Reasons are baffling given the lose-lose implications and agreements on a new remuneration deal with other unions. The Sibanye gold operations have been in near-death this past year, not helped by a gold price that has dipped from over $1,300/oz earlier this year to $1,228/oz currently and a strengthening rand, currently R13.90/$. Gold has averaged R537,000/kg whist all-in sustaining cost are running north of R550,000/kg, which is roughly where gold is today on a per kg basis. The gold operations will be cash negative this year after capex. Moreover, safety issues have hindered production. AMCU demands (it is always demands, not realistic concessions) minimum pay of R12,500p/m plus a R1,000 a year rise over three years. Sibanye has a three-year wage agreement in place with the National Union of Mineworkers, Solidarity, and UASA. AMCU has been uncooperative all along. Whilst Sibanye is less of a gold play and more of a platinum group metals play, with a significant asset in the United Sates, AMCU represents 65% of the PGM employees in South Africa, so that means half of all staff, including gold, are represented by AMCU. If I add in Lonmin, AMCU has about 80% representation there. Sibanye management isn’t budging. The final offer is the final offer. And no work no pay applies. This could be a proverbial tipping point. Management is already looking at future feasibility and cuts. The strike will bring the end-game closer. 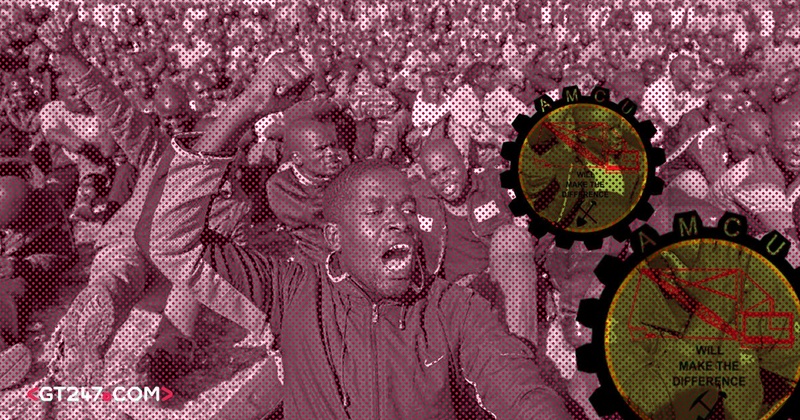 Platinum wage talks are due in the next six months so shareholders should shiver at the thought of AMCU’s dominance there. On a blended DCF and EV basis I continue to value Sibanye at R11,75 but stress that it is contingent on a cash neutral Lonmin situation, realisation of $120 million in merger synergies should the Lonmin deal go through, and future labour stability. The stock has retreated from a cyclical short term spike of R12.50 in October but traders and investors should continue to treat SGL with caution as it will be exceptionally volatile to news-flow. In South Africa, Anglo American is my preferred choice but frankly you are better off abroad. For international exposure, I prefer BHP Billiton as it has less of the geographic and political risk in South African orientated stocks and the South Africa assets were previously unbundled in to South32.